in the City of Smiles. Well if you might think of it as something to be careful of (due to hygienic purpose) or for those with sensitive stomachs, well here in Thailand no matter what you're reasons are, you will never full enjoy & experience Thai culture without having a taste of its authentic street food. Of course, some of favorites in line will be seafood fried rice pad thai, mango sticky rice and meat on sticks paired with local Thai beer. But of course, there's more to that if you will go around Phuket area where you'll have a difficult time to choose which local delicacies you wanna try. Just make sure you have all that extra pockets in your tummy coz for sure you'll gonna skip your diet session for all that carb loading episodes. 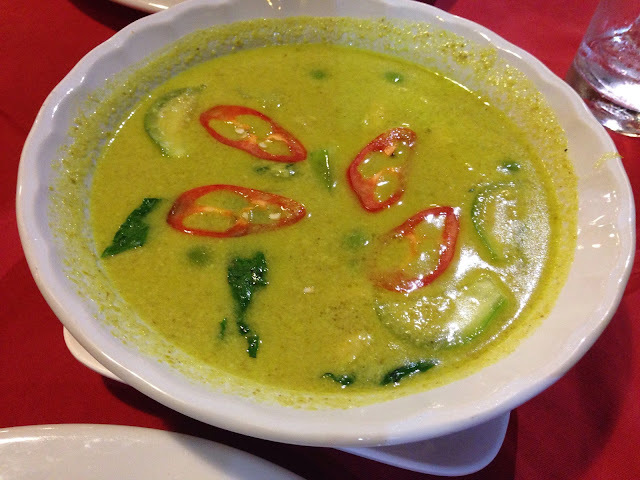 Patong Seafood Restaurant is another food haven to try in Patong Beach area if you want to have a taste of authentic green curry or fresh Thai seafood in Phuket Thailand. Just across the Patong Beach area, this restaurant offers the freshest seafood and superb Thai cuisines perfect for that dinner by the beach mood that you've wanted for the longest time. The place is not that fancy but they have welcoming staff always ready to assist you and the menu items comes in various selections from Thai delicacies, seafoods and even western dishes if you're up for some pasta and wine. Its always sweeter the second time around, just like here in Phuket Thailand. There's no better place to stay that Baan Laimai Beach Resort. The resort just opposite the beach front area will give you the total access most of Phuket's must see tourist spot around the island. I love how it here every time I go to Phuket for they will always have the best price deal for room accommodation. When it comes to resort amenities, well you'll gonna love their vast swimming pool area, fitness gym and welcome lounge area where you can book all your travel itineraries. I was not able to get good number of photos to share with you but here's some summer touristy postcards from out hotel room balcony to give you some visual diary. If you're in search for the best street food to get the taste of Malysian cuisine, well there's no better place the Jalan Alor in Kuala Lumpur. 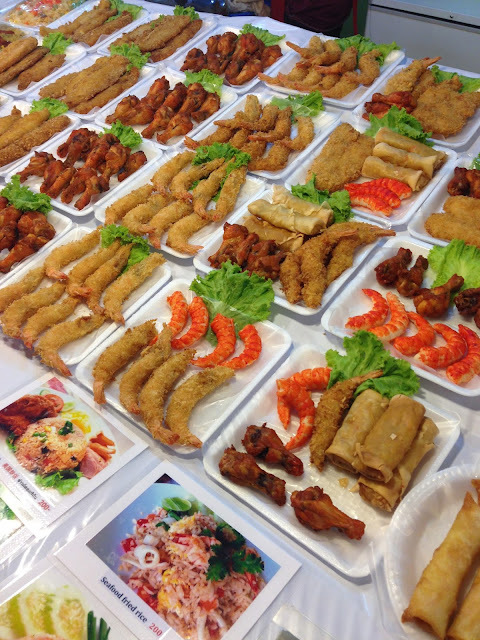 Here you will get the chance to get your belly full of various gastronomic Asian cuisine from seafoods to spicy noodles. It's my third here in Kuala Lumpur but my first time to finally visit this food haven, a street with with wide stretch of food stalls where you can just sit, eat, drink and simply enjoy. Luckily I tried to eat here twice and it never failed to satisfy my food cravings at all. The food still considered well priced compare to average Singaporean food menu items. I just had too much satay, fried oyster and char kway teow and more Malaysian cuisines that still makes me salivate til now (LOL!) Here's what we ordered to show you how good food here was. Taken last year at Shang-Rila Rasa Sentosa in Singapore, I took advantage of the lush greens and white walls of their hotel for some OOTD shoot. We had a big breakfast buffet and we decided for some stroll around the resort. Im wearing striped shirt from Zara Man, beach shorts from Cotton On and all white Nike Air Max shoes that completed my summer look intention. Just added sunnies and NY snapback and I'm all out for some dip in the pool with fruit smoothies and good books to read while basking off under the heat of the sun. Watch out for more summer looks only here on my blog! Enjoy summer weekend to everyone!